Aside from breaking lots of our web links much content was archived, and the new site is “light” on content. Many of the links that still sit on Google will take you to the archive, which is a snapshot of the page at that time, and in many cases now useless. It will take a while for Google to recognise this and start building the new links as a higher rank, but until then we are always available to help or support in your hour of need. We are continuing to do what we can to update our historical links, but if you find a dead link and cannot find your answer here or via Google, drop us a line via our contact page, we’re here to help! 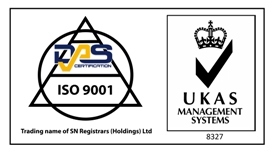 Previous PostPrevious Bona Fides (Approval of Suppliers and Customers) Checks – how and why?